It’s about the size of a credit card and powered by a small cell. 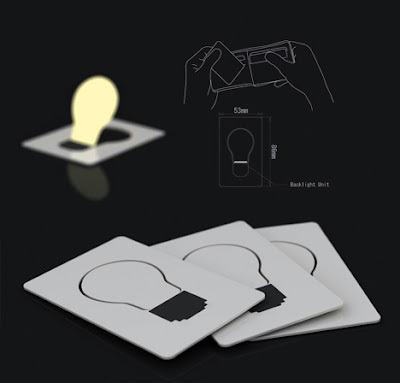 Flip up the lightbulb shaped cut-out to switch on the soft, mellow, glow of bliss. What’s the point? Novel - next time you have a bright idea, you can have an actual lightbulb “bling!” on.